I have no real evidence of which factoprs are missed. My personal guess is the human factors are a commonly ignored and the technology over-emphasized. There is also a tendency to throw a computer at the problem -- without analysing what software, maintenance, backup, training, etc. is needed. The word realise is pure UML jargon. We say A realizes B when A makes abstract B real. For example, you may need to store information about Students in your system, and this need is realized by a MySQL data base that has a Student table in it deployed on a Linux data base server. Processes become real as executable programs and libraries or scripts. So there are many different ways that an artifact can fulfill a requirement. this is called 'realizing' it. The essence of RAD is the technology to describe common types of processes quickly and easily. A very high level language can achieve this without the need of a framework. Thus Visual Basic used to give a working prototype very quickly. However these days, a Windows prototype will need to use the .Net framework on top of VB. Sometimes a language has a framework that makes prototyping much easier -- Ruby on Rails is an example. Ruby is an elegant language. Rails is a framework that simplifies web development of simple web sites. As a rule a framework needs as much time to learn as a programming language. It may be quicker -- since RAD prototypes are throw-away prototypes -- to just use the language without the framework. Simulate a beer barrel bouncing. Given a knitting pattern draw the fished garment. There are also ones that I have attempted, failed to solve, and still wake up in the middle of the night trying to solve them. They are all simple to state and addictive. So I'm keeping them to my self. A data base is in third normal form or 3NF if in each table the prime key determines the rest of the data in the table, and the whole key is needed to determine the data, and if no other dependencies are hidden between columns in the table. Base your estimates on the historical data you've collected about your team and its projects. Break down the project into many small activities and estimate each step separately. Use CPM to work out the best schedule and the minimum time needed. Express estimates in terms of the chance of finishing before that time, not as certain completion dates. When will you be 90% certain the job will be done. expected = (best + 2*most_likely + worst)/6. Get your people involved in the process. Avoid confusing targets with estimates. All for the mistakes with a safety factor. We are a little short of time and the question is ambiguous. Then there are the tools that can be used -- especially the integrated Development Environments (IDEs) that combine editor, debugger, compiler, testing, and various libraries and frameworks into a single tool. Have a look at the [ ../cs375/ ] website that has grade distributions, book, work schedules, etc. It is designed to be a 4 unit class covering a method of going from requirements to a good object-oriented design. And it seems to take the standard amount of prep and homework. You should have a list of processes/use cases plus all the data formats and data base design. Your task is to choose the hardware and its connections that will support the software that meets the requirements. When I first heard of normalization and relational data bases (1973?) I thought they were an academic fad. Then I discovered that my students were using it in industry and had to change my opinions... not a fad but a practical necessity. Data base management systems work when the data is normalized. Other professionals will expect you to do it. YES! Both. You'll find that the big corporations have a the greatest tendency to overdo DFDs/ERDs/.... paperwork. The small young businesses that go agile -- stressing people, working code, face-to-face communication, and 3><5 cards. already exists It is, said Sherlock Holmes, "a capital mistake to theorize without data". In the systems world it is all to easy to spend time and money improving the wrong thing. Therefore it pays to take time to find the real problem ... the bottleneck or clog. What happens and what does not happen? Better bandwidth or reduced data flow. Improve the structure of the data. I had planned to but the wind closed the campus... The notes [ c3.html ] are fairly extensive and the method is easy to understand and apply. If we have time in the last class I will demo an example. These are just flow charts with a modern notation. My notes [ r1.html ] are enough for this class. Just make sure you understand how to draw decisions, loops, and parallel branches. The system helps students register for a class. The system will be user friendly. Key symptom: you have to work hard to get a detailed specification of what is and is not needed in the system being designed. The fish-eye is just the best way to show the process you are expanding as you expand a single level 0 process.. It shows a lot of detail in the middle surrounded with the connections to other systems. In a DFD there is a big central process box surrounded by the entities/stores/processes it communicate with plus a lot of internal process and stores inside. Very. If the data doesn't exist already you have to plan and document everything about each element and each record. Those I tried to do before I learned to keep them very very simple. I'm not sure and if I was sure I wouldn't say to the other groups. I could go over the answers to the ones I've published but they are not quite the ones I'll be using. It is the dominant graphical notation. I don't have any figures of its usage however. Business rules are rules governing the system that can not be easily expressed in ERDs, use cases, DFDs, etc. For example that you have to complete prerequisites before enrolling in a section, OR you must pay to reserve a DVD, or there is a special discount on Tuesday to seniors who have one of our credit cards. Check out [ r1.html ] for more information. Is the real final going to in the same format as the mock final. In terms of the size of the audience, I've attended a presentation on an OS upgrade with 60 people in the audience. The typcal presentation to management is to a group of people in a conference room -- no more than 15 people. It depends on the number of stakeholders and decision makers. When calling a meeting you need to select the audience carefully, of course. In terms of time: Humans loose focus after 20 minutes unless you change the pace or supply caffeine and sugar. Donuts and coffee help! So does involving the audience. The ideal time depends on the type of presentation. Presentations to management should be shorter than presentations of technical ideas to engineers, for example. As a rule, technical people find meetings a waste of their time and so we have things like "stand up meetings" limitted to 15 minutes to share progress and blockages. I'm surprised that no data has apeared on the use of electronic meetings and presentations on software development. Whatever: don't prepare a presentation until you know the audience, the place, and (of course) the content! A deletion anomaly occurs when the deletion of information about one entity in the data also deletes information about another entity. Then deleting the last course that contains a particular instructor also wipes out the data about the instructor. The steps are: The Key, The Whole Key, and Nothing but the Key. Given 2NF data then each data group will have a prime key and attributes that are determined by the whole of that key. Therefor look at data groups that are not in the key in 2NF and that have attributes that act as keys to other attributes. In other words there are non-key functional dependencies. Notice that all the attributes in the 2NF Course that depend on instructor_name move out of Course and into the new group Instructor. There will be questions about normalization -- but I don't have the space, and you don't have the time to normalize any realistic data. Student s answered a to question q. Each Answer is to a single Question. Next step: draw UML activity diagram [ MakeFinal.png ] , then add durations [ MakeFinal2.png ] , then work out the earliest time transitions (arrows) can happen: [ MakeFinal3.png ] , then work out the latest times transitions can happen [ MakeFinal4.png ] , and finally high-light the critical path: [ MakeFinal5.png ] (Note use right click to pop these images into different windows). I have no real data but I think its getting notations and calculations wrong. Review all the algorithms/procedures (example CPA, Cost/Benefit, normalization, ...) and all the rules (DFD, ERD, ...) for diagrams. Get a random sample of people to talk about it under a Non-Disclosure Agreement. Wireless was a new issue 4 or 5 years ago..... I'm not sure what comes up next. Most set up servers to filter incoming EMail by blocking messages that look like they contain viruses or phishing attempts. Wise administrators don't let their users download and execute messages: .exe, .bat, and even .doc files have this fault. Choose a percentage a little bigger than the current bank-rates. First: ask them. Second: think. Third: get priorities -- which first, which later. Fourth: take note of possible future developments. They are a trade off. Getting 100% security is very expensive even for a simple system. In practice you need to say that this is secure enough. Practice: (1) driving the machine with minimal tools, Just in Case, Practice communicating with users and bosses, (3) practice learning new things. Two pages. First who and what. Second: costs and benefits. EMail a zip file or PDF is probably best. Or bring a flash drive to my office so I can upload it. How do you decide on the level of DFD. 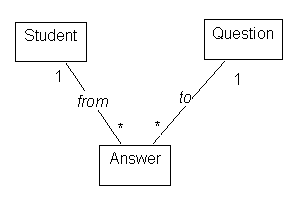 Start with a context diagram. Then expand context to level 0. Then expand some lovel 0 processes to level 1. And so on. Stop before you draw a flow chart. Comprehensive summary of the techniques in this course. Includes definitive information on activity diagrams, block diagrams, BPD, Business Process Modeling, Business Use Case, Cause-and-effect diagrams, Class diagrams, comunication diagrams, DFDs, ... etc.